This class looks to improve technique (including footwork), hold, pose and musical interpretation and understanding. This programme is delivered over two terms, with each term lasting six months. In alternate terms students will specialise in the development of their Latin dancing including: Cha Cha Cha, Rumba, Samba and Jive and will work towards achieving an IDTA Silver Medal in Latin Dancing. 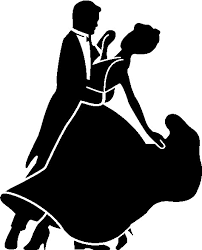 In alternate terms students will specialise in the development of their Ballroom dancing including: Waltz, Tango, Slow Foxtrot and Quickstep and will work towards achieving an IDTA Silver Medal in Ballroom Dancing. Learning to dance with Mark at "Dancing Feet" is fantastic! Mark is a great teacher and the lessons are always lots of fun. There is a really enjoyable class spirit and lots of socialising to!